← What IS This, Anyway? This entry was posted in Great Weekend Reads! 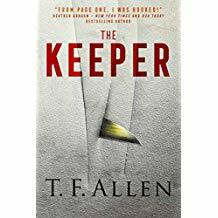 and tagged artist, fiction, Great Weekend Reads!, Janice C Johnson, kidnapped, mystery, nun, paranormal, reporter, rescue, suspense, T F Allen, thriller, Todd Allen. Bookmark the permalink.